Which Celebrity belongs to your school/college? Big day for Rajini, Ajith and Vijay fans! Special Birthday song for Ajith by Vishal Chandrasekhar! Is Dhanush in place of Ajith? A special day for Mr. & Mrs. Ajith Kumar! Vishal on Ajith song controversy! Ajith to hit the gym again for Thala 57? Thala 57 will be shot extensively in Australia? Suriya's rack follows Vijay's pattern! This page hosts a weekly slideshow related to Tamil movies. Each slide includes a picture and some description about that picture. All the slides will have a recurring theme. People looking for actress stills, actress images, actor stills, actor images, movie stills, movie images, and other interesting topics, relevant issues in Tamil cinema will find this page useful. 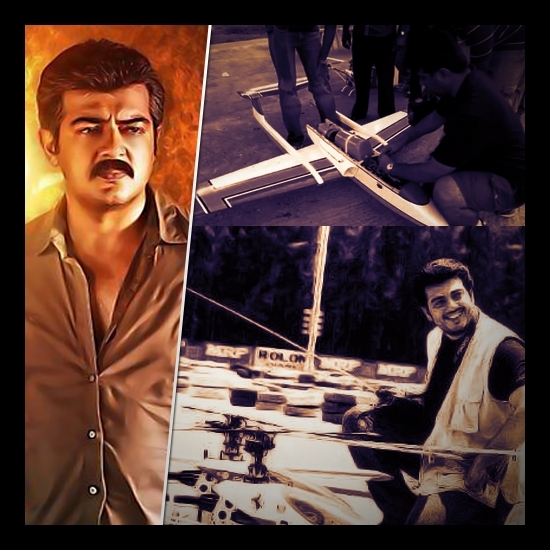 Aircraft Modelling Enthusiast | Six shades of Ajith.